How do you Protect Foam Core Boards from Damage? Have you been wondering how to protect your foam core boards from damage? Simple! With foam board corner protectors. The corner caps slip on easily, and are one of our most popular products. They are especially popular for businesses preparing for trade shows, as well as those who plan to use a foam board with a stand or hanger in their shop. You can use during transport and remove them for display, or leave them on for extra durability while displayed. They will help prevent bending of the corners and denting and squishing of the core facing, as well as provide support for the edges of the board, keeping them looking professional, longer. 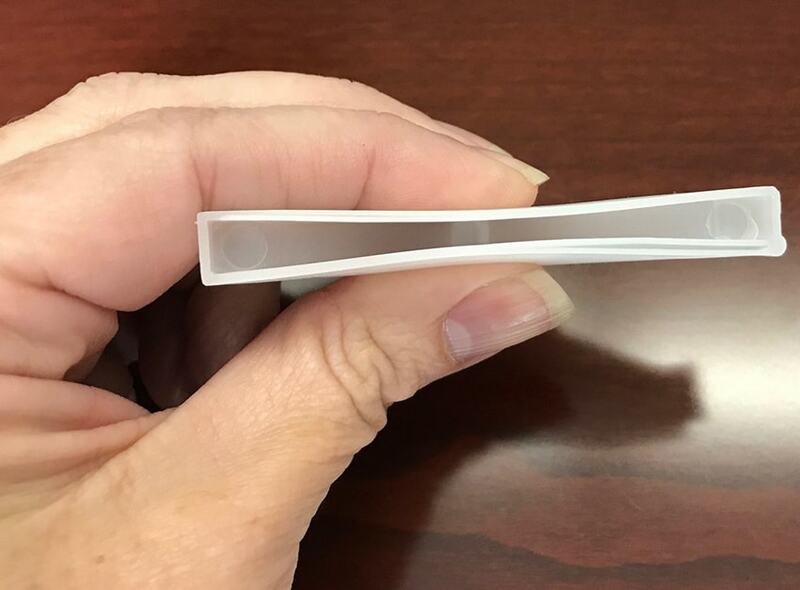 Foam board corner protectors easily slide on and off your foam mounting boards, so you can use them to protect your corners from denting and bending during transport and handling, and then easily remove them when displayed. Since they are clear, they also provide a minimally-invasive look, so you can even choose to leave them on your boards while displayed to continue to protect them for longer. Corner protectors for foam board come in two styles; flat corners (flush) and bubble corners (rounded). The flush corner protectors are more of a true clear color, and office the least amount of impact on the look of your boards. They work best with 1/2" thick foam boards or gator boards. 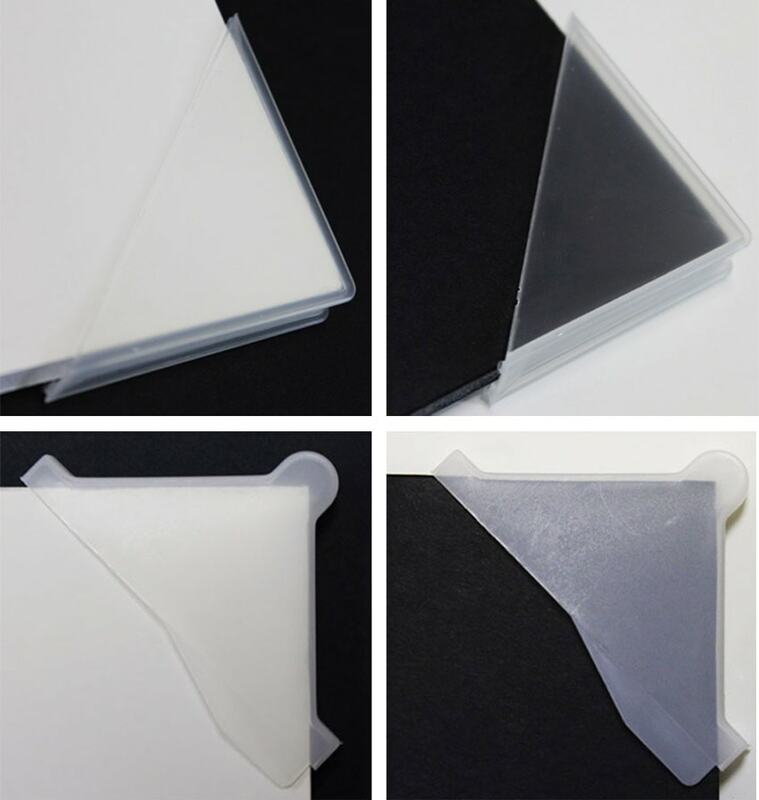 The rounded corner protectors offer additional bump protection, and are more of a milky-clear color, which is more noticeable when used on a black foam board, as you can see in the photo. They come in two sizes; one to work with boards from 1/4" to 3/8" thick, and one for 3/16" to 1/4" thick boards. How do corner caps stay on your foam boards? They are pinched in the middle, which creates a strong grip to your board once you slide it on. They will help prevent your foam board corners from "pillowing" or getting smashed and dinged-in. Another benefit to protecting the mounting board corners is that they also provide extra stability and protection for the edges of your board. Since the protectors (even the flush/flat ones) stick out a bit from the board itself, they help prevent the edges from getting banged and dented. It doesn't matter whether you use these tricks to protect foam board for plain boards, printed boards, or laminated boards; they are sure to help prevent the common issues with foam core board damage, and keep your boards, no matter the size, looking professional for much longer. Don't forget to check out all of the other foam board accessories and foam board stands that we offer, including hook and loop hangers, twist-in hangers, Mightee mount board stands, easels, and more.